If the purpose of your calendar group evolves into something different, you can change the name. 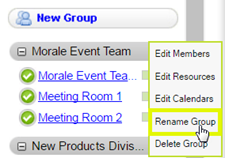 You must have administrator permissions to change the name of a group in Calendar. In the left pane, under the New Group button, click the white arrow to the right of the calendar name you want to change. 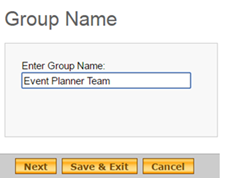 In the Group Name dialog box, enter the new name for the group. Email distribution Groups-Is there a way in cPanel email to group users? How do personal and group calendars differ?